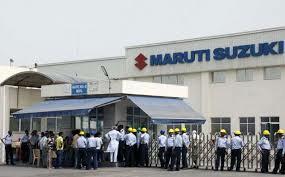 In a strongly-worded statement, the Maruti Suzuki Workers Union (MSWU) has said that it “rejects the falsehood” being spread by the prosecution, which led to the life sentence to 13 of the Maruti workers on “baseless” charge of ‘murder’ on March 18. Circulated through a Dalit media network, the statement announces that March 23, the day of martyrdom of Bhagat Singh, the Maruti Suzuki Mazdoor Sangh (MSMS), the joint platform of six Maruti Suzuki factories, have decided to give a call, Chalo Manesar, to protest against the death sentence. A local court in Gurgaon gave the sentence on Saturday in connection with the alleged murder of a Maruti Suzuki manager, who was killed after violence and rioting at India’s largest carmaker’s plant in Manesar in 2012. “The entire case is part of management conspiracy to finish off the union, an attack on the right to union formation itself, and the demands – particularly of abolition of contract worker System – it was raising and symbol it became for workers struggle”, it added. Insisting that this led the management to “conspire and escalate the conflict July 18 2012, the statement said, the struggle expanded and workers fought in other industries as well -- Honda, Rico, Asti, Shriram Pistons, Daikin AC, and Bellsonica.